A breakthrough in price and quality the Xvision XHD range is perfect for applications requiring professional Full HD 1080P equipment, that runs over a traditional coax cable. Xvision XHD is based on the very latest AHD 2.0 technology, allowing Full HD 1080P images to run over industry standard co-ax. Our AHD 2.0 solutions offer many benefits over Analogue, 960H, IP, HD-SDI, HD-CVI and HD-TVI based products. 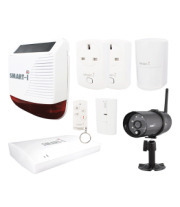 SMART-i, part of leading national security equipment distributor Y3K (Europe) Ltd, offers the next generation of award-winning Home Security products that integrate CCTV, Alarm and Power Control together on one singular easy-to-use device. AHD is the very latest standard available for the recording of HD video, via a regular coax cable at the distance of 500 metres giving High image quality at the resolution of 720p. Y3Ks range of CCTV monitors are designed for the professional security market. From simple one camera outputs to the most complex multi-screen requirement, Y3K can provide the perfect display to compliment every CCTV installation. 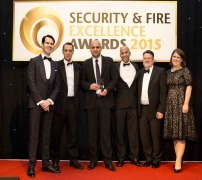 SMART-i, a Y3K company that sells a range of integrated home security products, has won the Intruder Alarm or Exterior Deterrent Product of the Year at the Security & Fire Excellence Awards 2015. SmartWitness is the Vehicle CCTV and Safety Systems division ofY3K, a global manufacturer and distributor of Professional CCTV Systems. At SmartWitness we concentrate solely on the design, manufacture and supply of Vehicle CCTV and Safety Systems.